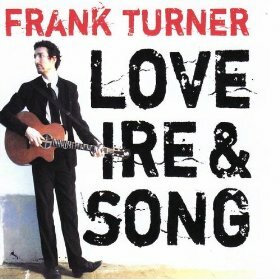 Frank Turner has been compared (favorably) to Billy Bragg and that was enough to make me check him out. I’d say he’s not quite as English or as edgy and certainly not as political as Bragg (who is, really?) but the comparisons are there. He does sing with an accent and the music is punchy lo-fi (at times) and very toe-tapping. I like the addition of the backing singers that mostly sing in unison and sound like they’re in a bar. This is definitely fun music. I dare you to try and keep still while listening. He’s also got a way with words. Some of his lyrics are hilarious, all of them clever. I really like the last track, the Ballad of Me and My Friends. It’s a live track and it’s fun to see what he’d be link in concert, which I’m sure is amazing.